eclipse glasses while cashing in on all the hoopla. The problem is that those faux companies didn’t sell safe eclipse glasses, leading to major warnings about possible eye damage. While hopefully everyone in America bought real eclipse glasses and avoided damaging their eyesight, it’s not the last time they’ll be buying eclipse glasses. Many thought the 2017 eclipse was the last one for a lifetime. Fortunately, another U.S. solar eclipse is going to become visible in 2023. This one is going to occur on October 14, 2023, with totality visible mainly in the SW U.S. (primarily Texas). So where should you turn to buy new and safe eclipse glasses? We offer our own here at Rx-Safety. What Kind of Eclipse Eyewear Do We Offer? It’s important to make sure you have eclipse glasses fully protecting your eyes, meaning ones with exceptionally dark lenses. As you may already know, this means these aren’t intended for use as sunglasses. You won’t be able to see anything out of them unless looking directly at intense light sources. Keep in mind these type of glasses are only good for looking at the sun during eclipses, and for welding. Our “Ring of Fire” glasses sell for $29.99, a bargain when you consider how high quality they are. You’ll have green athermal Shade 14 glass welding lenses here for double usage. Those of you who do welding for a living (or as a hobby) can buy these now and be able to use them for this purpose until the next eclipse occurs. When the eclipse happens, you’ll have your glasses ready to go to view the event safely. Some of the other features on these glasses are important things to look out for when buying eclipse glasses. Take a look at what these are as warning points before buying eyewear like this. While our eclipse glasses are guaranteed safe, it pays to learn what to scope out in the fake ones. Once the 2023 eclipse hits, you’ll be seeing crooked companies selling the faux ones again. It pays to learn about what to avoid before you buy anything. One of the first things to watch out for is what the Shade number is. Anything under Shade 12 should immediately be thrown out. As you can see, our eclipse glasses are Shade 14, which ensures complete safety for your eyes. Unfortunately, many people think a standard welding helmet they have stored away at home is perfectly safe to use. Perhaps it isn’t if you don’t know what the Shade number is. Some welding helmets are under the above number, so always check to make sure. Also note that older welding glasses don’t always make the sun look appealing when you look through them. Often, they make the sun look slightly green. Buying glasses intended for solar viewing can help you view the sun in its natural color. Whatever you do, don’t buy your glasses from a random online store. 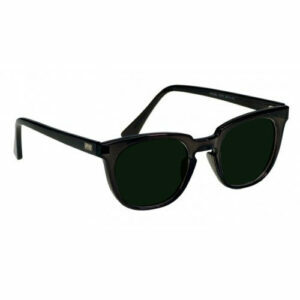 Here at Myeyewear2go, we’ve built a trusted brand, including offering the best deals on the world’s best eyewear names. The above Shade number is only part of what could constitute a fake pair of eclipse eyewear. Now you know why thoroughly educating yourself before the next eclipse helps you understand what to buy. Far too many companies may try to convince you that wearing multiple pairs of sunglasses is perfectly safe to view the sun. Don’t ever use an ordinary pair of sunglasses, or even wearing multiple pairs. Doing so won’t protect your eyes from damage. Neutral density or polarizing filters used often as camera filters aren’t safe either. Despite eclipse filters always being sold for cameras, these aren’t intended to use as eyewear. Smoked glass, and photographic or X-ray film are additional wrong types of filters to use. You may even see homemade filters being sold and claiming they’re safe. What’s problematic about this is many eclipse watchers may buy those and not realize the damage they’re doing to their eyes. Your retinas aren’t going to feel initial pain when you view an eclipse through these fake filters. Eye damage is usually delayed after viewing an eclipse unsafely. You may notice blind spots and other eye problems developing months or years later. Undoubtedly you’ve heard about the ISO number you need to look out for in real eclipse glasses. Ours are ISO 12312-2:2015, intended for direct solar observation. Always look out for this ISO standard before you buy any eclipse glasses over the next few years. One particular number to look at in this stream of numbers is the ISO 12312-2 compliance. 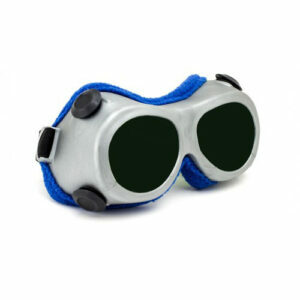 When you see this, you’re going to know the glasses successfully block solar UV and IR radiation. Our eclipse glasses block over 99% of UV light and 97% of IR radiation without fail. As a result, your eyes are going to have complete protection for the 2023 eclipse, and any eclipse you view worldwide. As you might guess, some eyewear dealers merely take this ISO number and stick it on their products without full testing first. 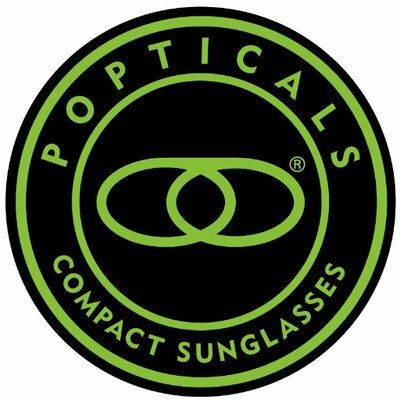 All legitimate eclipse eyewear companies take the lenses in to specialized labs to perform necessary tests so they verify compliance with ISO 12312-2 safety specifications. Many unscrupulous companies aren’t going to do this. The only way you can know for sure you’re getting glasses with a real ISO designation is to buy from a reputable dealer. This is why you shouldn’t always buy your eclipse glasses from random companies on Amazon.com. 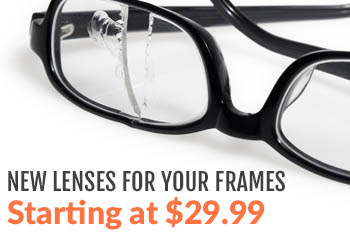 At Myeyewear2go, you can count on our reputability in the eyewear industry. If you’re still not sure if the filter you buy is safe, you can test it on specific sources to ensure you’re truly getting ISO compliant glasses. Slip your glasses on and notice how much you can see through them. In normal environments, you shouldn’t be able to see anything through a real pair. Only extremely bright light sources are the things you should see. The sun safely reflected in a mirror. A hot filament of an unfrosted incandescent light bulb. A bright halogen light bulb. A bare compact CFL bulb. Other than the welding torch, all of these should appear relatively dim through the eclipse glasses filter. What you should always look out for is whether you can see ordinary light sources, like the bulbs you use in lamps. Any easily visible light source like this through the filter means they probably aren’t safe to use for an eclipse. During your tests on the sun, make sure the glasses give you a solar view that’s comfortably bright and in focus. It should resemble what it’s like viewing a full moon during lunar eclipses. Most of all, it’s better not to buy eclipse glasses made of cheap materials since it’s possible they could become damaged during shipping. Even if you do buy real eclipse glasses, you may decide to buy the cheaper ones made of cardboard. These don’t always hold up well, especially during the shipping process. Perhaps some companies pack them well enough, but you may damage the glasses on your own after taking them out of the package. Never use eclipse glasses with clear scratches on the lenses. Plus, look out for any punctures in the filter. Any possible sign of a small hole in the lenses could damage your eyes while viewing eclipses. The benefit of buying our “Ring of Fire” eclipse glasses is they’re made of solid materials so you’re sure they won’t break. All materials in our glasses won’t break if dropped, giving you a solid pair to use for many years without needing to buy a new pair again. 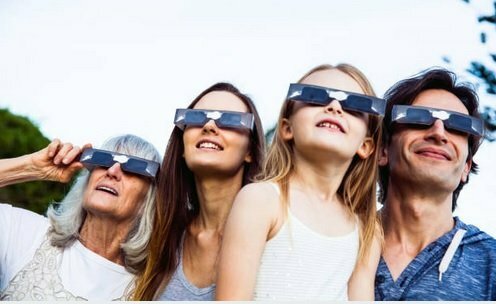 Since you may be viewing the 2023 solar eclipse with friends and family, you’ll want eclipse glasses bringing stylish appeal. Many of the cardboard variety don’t look exactly attractive when placed on your face. With our eclipse glasses, you’ll have a pair looking very similar to an ordinary pair of sunglasses. You can wear these and convey some chic style while around other people. Why not buy multiple pairs and hand these out to your family and friends? In the chance they’re photographed by media viewing the eclipse (as many were in 2017), they’ll be able to look stylish without sacrificing their eyesight. Contact us at Rx-Safety to buy your eclipse glasses today and see our extensive inventory of other eyewear brands.